Informal dinner where you can meet (new) Amsterdammers. This edition focuses on the importance of solidarity with undocumented refugees. Eat to Meet is a dinner where (new) Amsterdammers can meet each other. The last couple of years Amsterdam has welcomed many new residents. Join this 20th edition of our informal Eat to Meet dinner where you get the chance to meet (new) Amsterdammers. 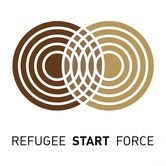 This edition is focused on the importance of having solidarity with undocumented refugees in relation to the International day of Human solidarity. 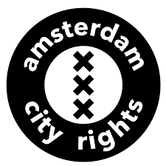 Together with Amsterdam City Rights we invite initiatives, politicians, locals and newcomers to get to know each other and look for new ways and practises of solidarity. Join us this evening to learn which issues play in the city and how we as a city can be in solidarity with undocumented refugees and newcomers. Because together we can change the city’s solidarity. Expect an evening with wonderful stories, music, dance, and speeches. Dinner is based on donation for newcomers, locals pay €20. Ticket includes a three-course meal, live music and a contribution to the travel expenses of newcomers. Registration goes via a pre-sale ticketing system. Hit the yellow button and select your ticket.  We strive for an equal participation of locals and new Amsterdammers. Undocumented refugees are currently systematically being denied their basic rights to work, education and normal living through national policies. In response to this, a growing number of initiatives are emerging that make it possible for local citizens and undocumented refugees to meet each other. Amongst others, there is the Fearless City initiative with the aim to stop denying these basic rights. During this evening we will engage with politicians, local initiatives, activists and undocumented refugees themselves to talk about the lack of rights. But most importantly, we will also talk about possible solutions that we as the city of Amsterdam can offer by looking at current developments in policy at the municipal level. Every Eat to Meet we are fortunate to have the band Orchestre Partout play for us. Orchestre Partout consists out of (former) refugees and Dutch people. The band plays world music and sings in Farsi, French, Uygur, Arabic, Urdu, Birmese, and Lingala. If you are a musician and would like to participate, feel welcome to bring your instrument and share your talent with us. Amsterdam welcomes many new residents. People who fled their country and who have found a safe shelter in our city. These new Amsterdammers will have to find their place in our society and we are keen to help them by hosting a series of network dinners. Every month in Pakhuis de Zwijger.